When You Need a Fast Release from Jail, Call Us for Emergency Bail Bonds Service. If you have been arrested and need to be released from jail immediately, call the bail bond agents at Indiana Bail Bonds right away. We are an honest and reputable bail bond company who offers affordable and reliable bail bond services. 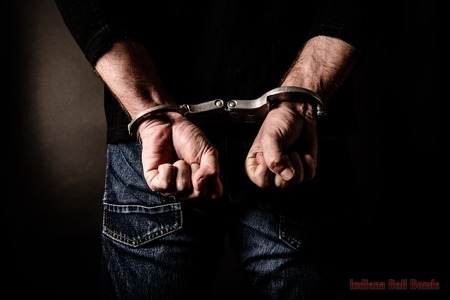 Being stuck in jail when you have a family and work to get back to can be stressful, but with our emergency bail bonds in Avon and Indianapolis, IN, we will be sure to get you out as soon as possible. Don’t let an arrest get in the way of living your life, call us at 317-423-9300 to get your bail bonds now! There are several reasons that an emergency bail bond is needed. You may have a job that you need to get to or have a situation where you need to be there immediately, or you just might need to be there for your family. Whatever the reason is, our emergency bail bonds are able to get you out quickly. We are here to make the process smoother and ensure you are released promptly. Our bail bond company is open 24 hours a day, seven days a week, so no matter what time you call us, we will be ready to help you, regardless of the time or day. Get emergency bail bonds in Avon and Indianapolis, IN today by getting in touch with a bail bondsman. Call Us Now for Emergency Bail Bonds! When you need bail bond service, you don’t have to look any further. At Indiana Bail Bonds, we offer a variety of bail bond services from bench warrant help to surety bail bonds. We are your one-stop shop for all your bail needs, so when you, a loved one, or a friend need emergency bail bonds in Avon and Indianapolis, IN, you can call us at 317-423-9300 today to get more affordable and efficient services. Our team of licensed bail bond agents is here to offer professional service that will help you through the bail bond process. Whatever questions or concerns you have, we are able to address them, and provide honest answers. For a bail company who goes the extra mile, call us for your emergency bail bond or other bail services. Updated on February 1, 2019 at 2:25 pm by Indiana Bail Bonds.